Are you looking to improve and learn more about real estate marketing? If yes then this may be for you. Please click here to see the list of upcoming events. March 20 - YPN Networking Breakfast: Creative Marketing on a Budget. 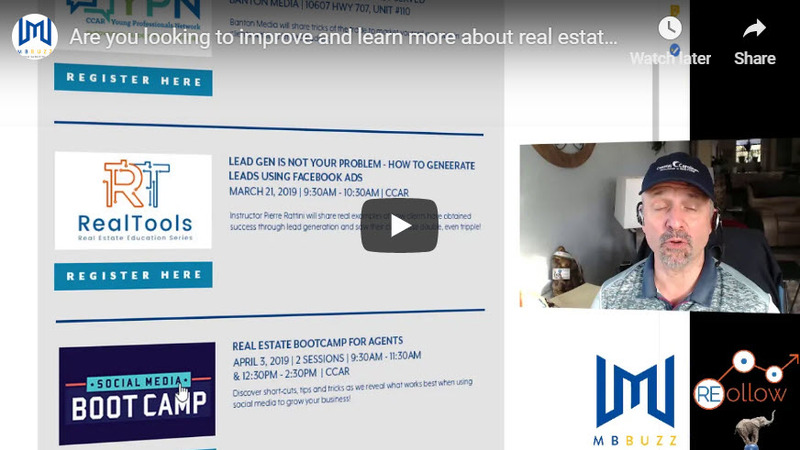 March 21 - RealTools - Lead Gen is not your problem - how to generate leads using Facebook ads. April 3 - Social Media Boot Camp. Click here to register for a marketing class or event. What real estate marketing topic would you like us to cover? Please share your answer in the comment sections below. Get reminders on real estate marketing events, webinars, classes and more from Pierre Rattini. Please send me notifications of future real estate marketing, strategy and tips education classes, events and webinars you will be doing. Enter your name and email below.